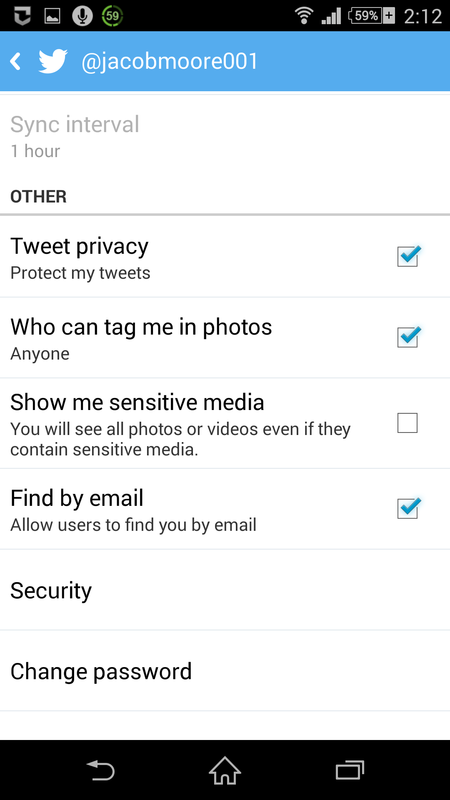 By default, every Twitter account is configured to set the visibility of all tweets to Public. This means that the tweets will be displayed to all Twitter users without any restrictions. Although this configuration is quite ideal in most cases, it might not be appreciated by the people who do not want to share their ideas/information with the masses. In order to respect privacy conscious people, Twitter allows its users to protect the tweets that they post. When the Twitter tweets are configured to stay protected, the other Twitter users must request for the approval by the owner of the profile in order to view the protected tweets. The owner of the profile must manually and individually approve each request to view the tweets. 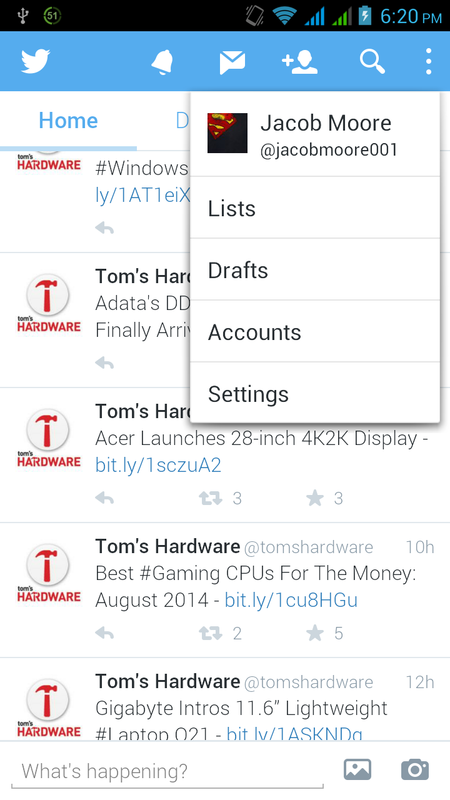 ■Locate and tap the Twitter icon to open the Twitter app. ■On the Sign In window, provide your login credentials in the Username or email and Password fields, and tap Sign In to continue. 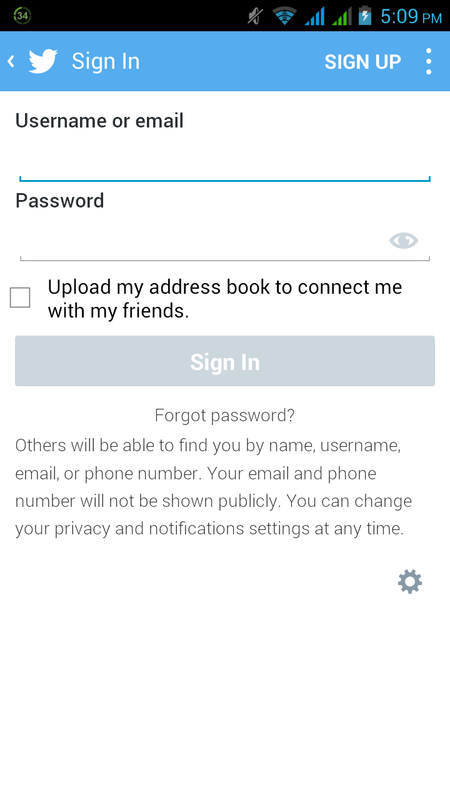 ■Once signed-in, on the home screen, tap the options button (button with three vertical dots) located at the top-right corner. 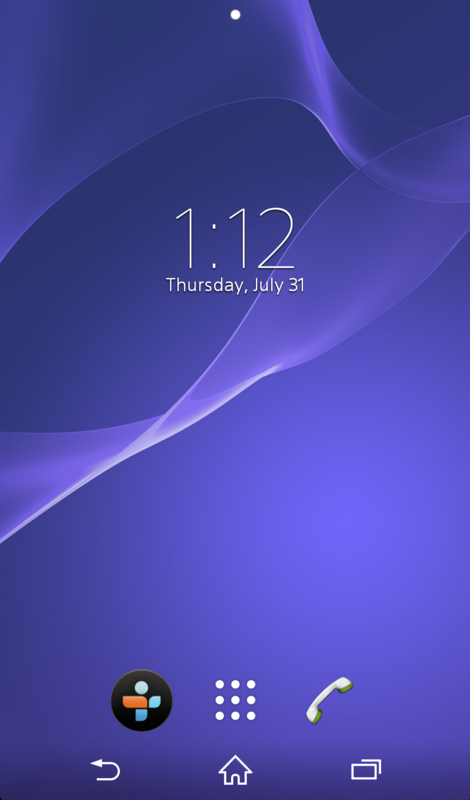 ■From the displayed options, tap Settings. 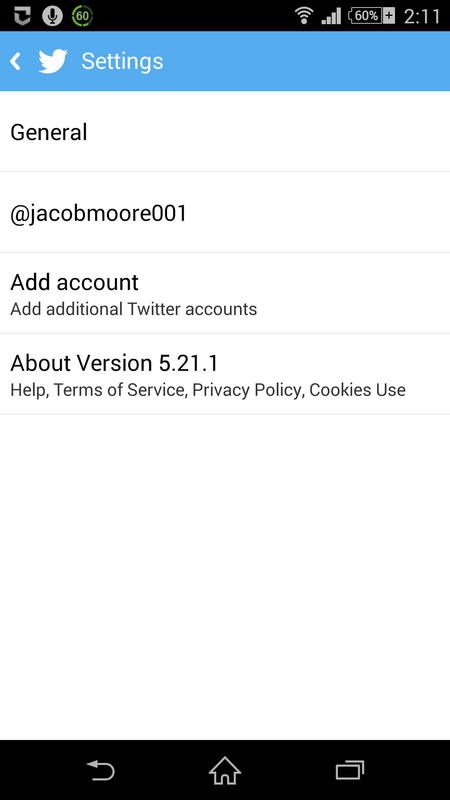 ■On the opened Settings interface, tap the user name from the available options (E.g. @jacobmoore001). ■Once done, from the displayed user window, under the OTHER section, tap to check the Tweet privacy checkbox to enable the tweet protection. ■Start using your Twitter account normally. Do you think is a good idea to boost media?